expression! The sentiment is by Darcie's. 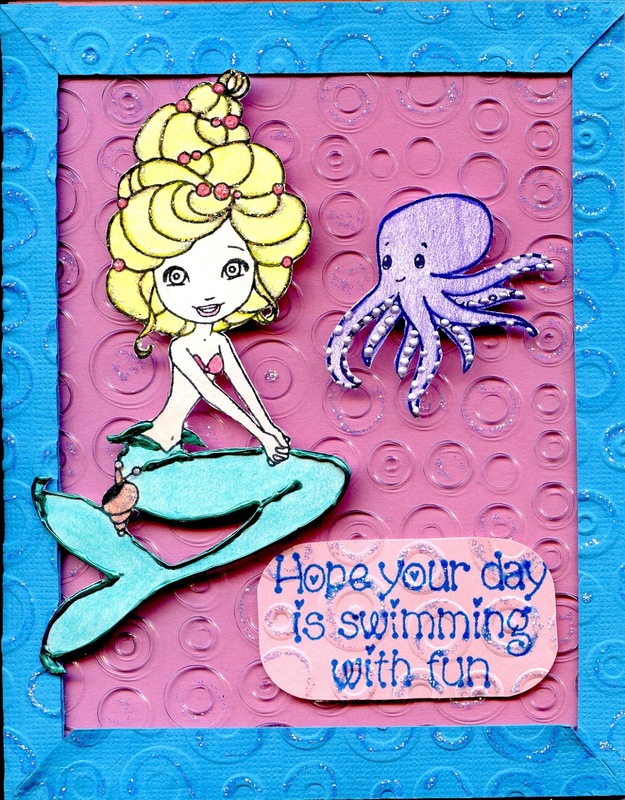 To make this card I started with pink cardstock for the base. Next, using an embossing folder, I ran a piece of plastic thru the Cuttlebug. The plastic was the box one of my Cricut cartridges came in. I also used the same embossing folder for the blue frame and the sentiment. I colored Bubbles & Palu using my Prismacolor pencils. I also used Liquid Pearls on both of them. Stickles was used on the background and on Bubbles hair. This was a super fun card to make. A shout of thanks to my crafting friend, Jo, who told me about using the plastic box with the embossing folder. I really love this technique! 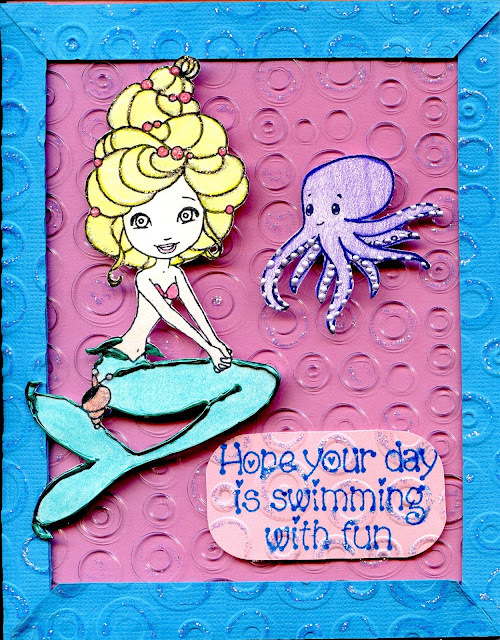 I have linked this card to Wonderful Wednesday Link Party #10 over at Printabelle. If you haven't linked up to Party #10 it is not too late. Head on over there, link up and check out all the great ideas! I hope that you all are having a fantastic weekend! Thanks for stopping by! Thanks for linking this cute project up! I was hoping to see something from you this week. This turned out adorable, I love the mermaid. Hope you have a fun weekend! Such a cute image. Great job on your coloring and layout.